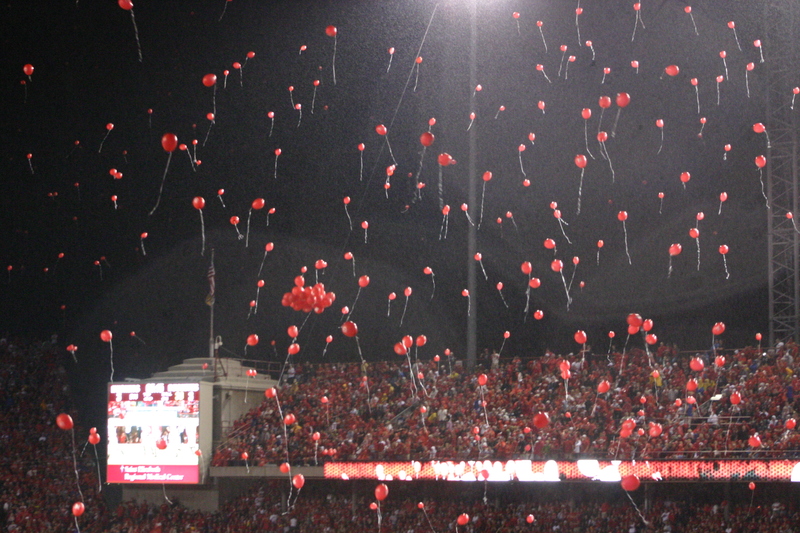 How Fragile Is The Nebraska Football Program? So, how are you holding up, Husker fan? Just when you thought the season couldn’t get more surreal, the Blackshirts get a fifty-burger dropped on them by a 1-6 Purdue team, losing 55-45. The loss drops Nebraska to 3-6 on the season, with games against undefeated Michigan State and Iowa and a road trip to Rutgers still to come. To call this season a disaster does a disservice to disasters everywhere, and it’s put the fanbase in a frenzy. Many are convinced that the hiring of head coach Mike Riley was a disastrous mistake, and a signal that the Nebraska program was fading into the sunset of past glories. After all, Nebraska hasn’t won a conference championship since 1999. It hasn’t been relevant on the national stage since a blowout loss to Miami in the 2000 national championship game. And in a low-population state in the middle of the country, the fear amongst the fanbase is that Nebraska’s inherent recruiting challenges combined with the current struggles means NU is destined to recede into the college football history books. Sure, national relevance and the College Football Playoff (heck, even the top 25 at this point) look a million miles away from where Nebraska is right now. But is this the new normal for Nebraska? There’s plenty of reasons to suspect that it is not. Before we get deeper into the discussion, I’ll go through all the reasons why this year could be considered an anomaly. Five of Nebraska’s losses were by a total of 13 points, and came with NU leading in the fourth quarter. Three were on the opposing team’s final offensive possession. And the loss to Purdue was without Nebraska’s starting quarterback (Tommy Armstrong), starting tailback (Terrell Newby), and most dynamic offensive weapon (De’Mornay Pierson-El). More importantly, the Purdue loss demonstrated what a smart and particularly handsome analyst worried about earlier this season. Football is hard work. It’s a hard game to play, and it’s a hard game to prepare for. It’s a lot to ask a group of 18-22 year olds to absorb heartbreaking loss after heartbreaking loss and give maximum effort on the field. It’s a lot to ask those 18-22 year olds to continue believing in themselves and the process enough to perform confidently play after play. I know, Husker fan, that you don’t want to hear any of that. You’re mad, and you’re hurt, and you’re scared, and you don’t want to hear any excuses. That’s fair. Riley may be a great guy and well respected in the coaching fraternity, but his job is to deliver wins on Saturday. He’s off to the worst start Nebraska football has seen since before Bob Devaney, and he’s responsible for that. But is 2015 the harbinger of things to come? Is Nebraska football relegated to a program fighting for a win in November to earn a trip to Detroit in late December facing a third-tier ACC team? Well, other programs have had their fallow periods. In 2007, Alabama was 4-9. In 2006, Michigan State was 4-8. In 2012, Iowa was 4-8. This year, Texas is 3-5. Wait, let me say that again. This year, Texas is 3-5. That makes you feel a little better, doesn’t it, Husker fan? The point is that teams have shockingly bad seasons, and rebound. A losing season does not destroy the foundations of a program. If the foundation is strong, then a bad season can be a baseline for a football revival. So how do you tell if a program has a strong foundation? Well, at the risk of reprising an unfortunate John McCain quote, you first look to see if the fundamentals are strong. Dave Bartoo of CFB Matrix believes that a program’s talent and coaching can explain almost all of a team’s performance on the field. So let’s take a look at what his numbers say about Nebraska’s program. As of 2014, Nebraska’s overall talent ranking was no. 24 nationally, right between Oklahoma State and Virginia Tech. While that talent ranking certainly could be better, it puts Nebraska no. 3 in the B1G overall and no. 1 in the B1G West. That means, from a talent standpoint, Nebraska has enough raw material on the field to be competing for conference titles each year. With regards to coaching, as of 2014 Mike Riley had a coaching effect of 1.50, meaning that a Riley-coached team could be expected to win 1.5 more games per year than an “average” coach based on relative talent. That coach effect rating was no. 11 nationally. Yes, Riley’s coaching effect will likely go down after the results of this season. But that’s the danger of small sample sizes. The benefit of work like Bartoo’s is that you can take a longer view informed by more data to help make judgments. Riley’s inability to coach is taken as a given by many Nebraska fans – understandably so, if you just look at the results of this season. But taking more data and a larger sample size into account, the numbers suggest the opposite conclusion. So, Nebraska has the talent to compete, and a coach with a track record over a number of years that would indicate an ability to over-perform based on his talent level. But there is one more element of the Nebraska program that suggests a disastrous season like 2015 will not be enough to swamp the boat. Shawn Eichorst, Nebraska’s athletic director, is not the most popular man amongst the fans these days. Part of that is a function of his position – bosses in suits focused as much on spreadsheets as opposed to playbooks are easy villains when the football team struggles. Any athletic director who wasn’t previously a national championship winning head football coach is going to be the target of fan ire when things go poorly in football. [T]here are standards and expectations at Nebraska that are high both on and off the field. And although we did win a bunch of games, we didn’t win the games that mattered the most … We have high standards and expectations, and that’s to play championship football … Nebraska has everything it needs to be successful at the highest level. We can go back and analyze the 80’s and 90’s and all that other sort of stuff but that is not going to help us out today. I think we are positioned to play championship-caliber football here at the University of Nebraska. Of course, given a 3-6 start to the Riley era, it’s hard not to see those words as a reprise of former athletic director Steve Pederson’s infamous “gravitating towards mediocrity” line when he fired Frank Solich. But Eichorst very clearly set the expectations for Nebraska – championship-caliber football. And those high standards demanded from a fanbase are, ultimately, what will keep a program strong. Both Eichorst and Riley will be held to those standards, even if the time frame as to achieving them will be the subject of debate. But, ultimately, programs don’t fade into the history books because of failures on the field. They fade into history because those on-the-field failures break the will of the fanbase to demand better. So for all of you calling for Riley’s firing at the end of this season or tomorrow afternoon – as unreasonable and irrational as that might be – keep it up. Well, maybe with a touch of reality sprinkled in. But as long as the man in charge of the program is setting the expectation at “championship-caliber football” – and the fanbase is holding the program accountable to that expectation – then the program will survive a lean year like this. Ya but what if we go 3 and 9 next year too…at what point do you realize this was a disaster of a hire and greatness will not come from it? How damaged will we be by that point? How will it effect recruiting? If you look at programs who have become strong lately, like Michigan State, Texas A and M, Baylor, it all is because of a coaching arrival that happened to work out. We are 4 disastrous hires away from TO…when do you go out and spend the kind of money needed to attract top level, proven talent at coaching? We’ve got the money. Put teh 5 million out there and hire someone away…it happens all the time, just not at Nebraska. But we don’t seem to have the will to hire right…trying untested coaches, coaches who have never been a head coach, etc. If Nebraska’s 3-9 next year, there’s a legitimate conversation to be had about cleaning house. But keep in mind, even if that happens next year, Nebraska will be on the hook for no less than $3 million/year in buyouts for Pelini and Riley until 2019. Add a $5 million salary and Nebraska would be paying $8 million/year for a coach — which is more than Alabama is paying Nick Saban. Is there nothing in these contracts regarding performance? Nothing that says “if you can’t win, if it’s a complete disaster, your gone”? Frankly, if we go 3-9 next year…it would be OK to be paying that 8 million for a time..we can afford it frankly. 5 million a year would get us Chip Kelly or someone like that. Winning and recruiting would rise immediately. They would make up a lot of that money, but for a time we would be paying out two coaches that are not here anymore…so be it. it could be looked at as a penalty to not doing a good job of hiring in the first place. You can’t experiment with new coaches at a place like Nebraska, if you want the tradition of winning football to continue anyway…you are basically relying on luck. By hiring proven, big name coaches, and paying them a bit over normal for someone of that stature, you are lessening your reliance on luck. And considering the last 4 coaches we’ve been through since TO’s departure, luck isn’t getting us very far. Illinois has 5 national championships too…and look where they’re at. My biggest fear though is the style of football this staff has been coaching all their lives, and believe in, and the style of football that works here at Nebraska are two VERY different animals, and I wonder if these guys even know HOW to coach a running first type of football…pro style or otherwise. So far, the answer is no. Pass first offense does not work here, plain and simple. Question is, can they adjust? Paul, let’s remember that hiring unproven, no-name coaches is what brought us the great TO you keep referencing and hiring big-name coaches like Chip is how we wound up with Bill Callahan. There’s no one, proven way to find a successful coach. Not to mention that judging a hire on the basis of one, even two seasons can be disastrous. Two seasons in, Pelini’s hire looked like a genius move. Ditto Hoke’s hire after one year at Michigan. Neither of them worked out well. Conversely, Rodriguez’s first year at Michigan looked like a disaster, but in retrospect his team had almost no talent on offense and it seems unlikely any coach could have won more than a couple games that year. Given what he’s achieved at Arizona it sure seems like Michigan traded down when they brought Hoke in. Rome wasn’t built in a day. When you make changes you must wait and see if they worked. Its a learning process. We should stay the course. Let the program succeed, and get on the band wagon. We are from Nebraska we will not be denied. I would agree with you, one year (especially this one with all the weird things that have gone wrong) is too small a sample size to judge. Right where they need to be at this stage, especially with a big recruiting class this year. Get the DXP in your inbox! Follow the DXP on Twitter! Get the DXP e-mailed to you! Click to get notifications of new Double Extra Points e-mailed to you automatically!